50% or 2 for 1 Hotel Reservation System. Webnexs Wclub Dashboard gives Quick statistic information of your club Website. 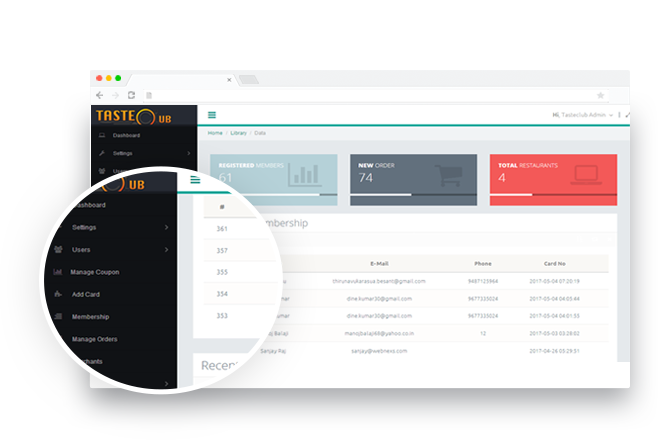 Dashboard provides details like Total number of Registered users, New orders received, Total Restaurants in Database, Recent members information and Recently added Restaurants. Webnexs Wclub Setting Feature allows you to create modify and delete your club stores settings. Edit Settings like Store’s title, Email address, country settings like name, ISO and Currency code, City settings like city Names, cuisine names, images and its information like ALT Tags and Title and banners management. Webnexs Wclub store allows you to create Admin and Sub-Admin Users to your Club store. 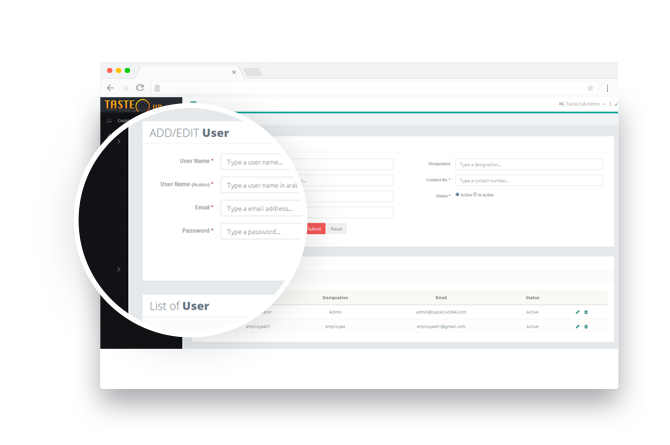 Provide Employees user name , Email Address, Set password, Set Designation, contact number, status and permission and user profile allows you to set various permission to the target user. Webnexs Wclub store allows you to create, modify and delete coupons. 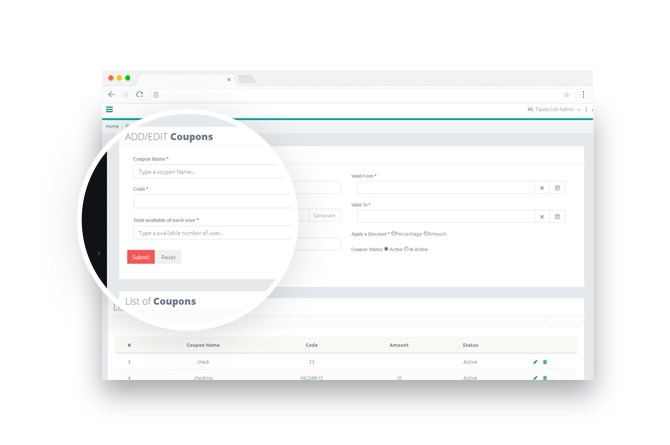 Create a coupon with name, Description, Code , Total Available of Each User, Limit to single customer, validity dates, apply a discount in either percentage or amount and coupon status. Webnexs Wclub Card Management allows you to Add or Edit or delete up to 3 Unique Member Card. 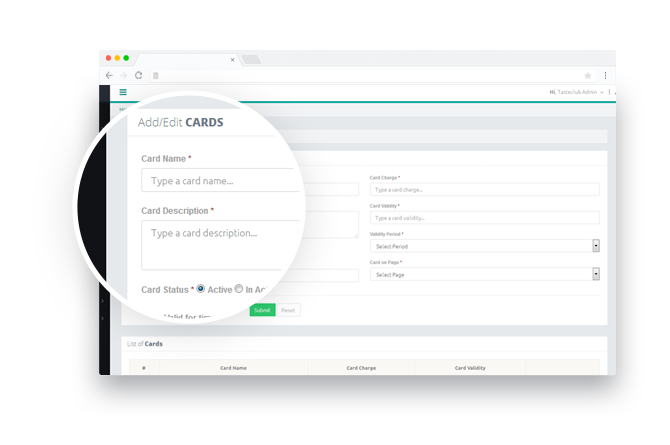 Create New cards and provide its name, Description, status, price of card, validity and validity period and card on page. 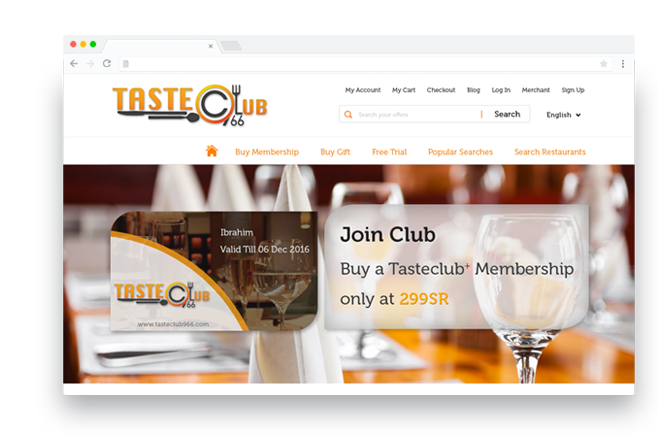 Wclub Membership Management allows you to view list of registered members in your Club Website. 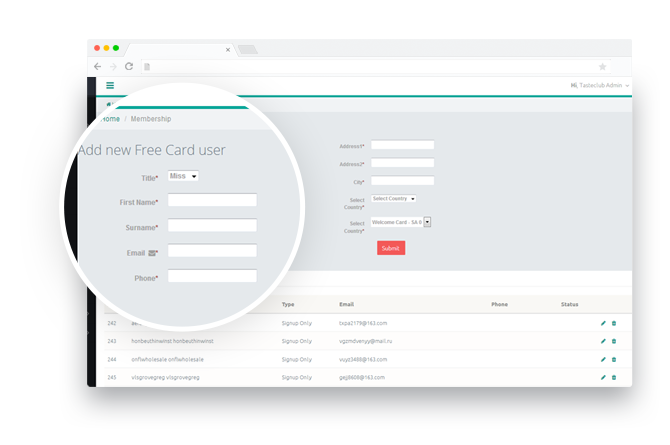 It provides with basic information like Name, type of signup, Email ID, phone number, status and give ability to edit and delete the Member. 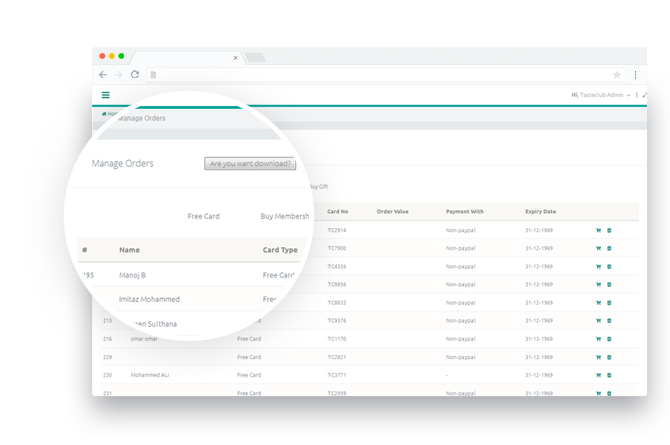 Webnexs Wclub Order Management allows managing your order on your club store. 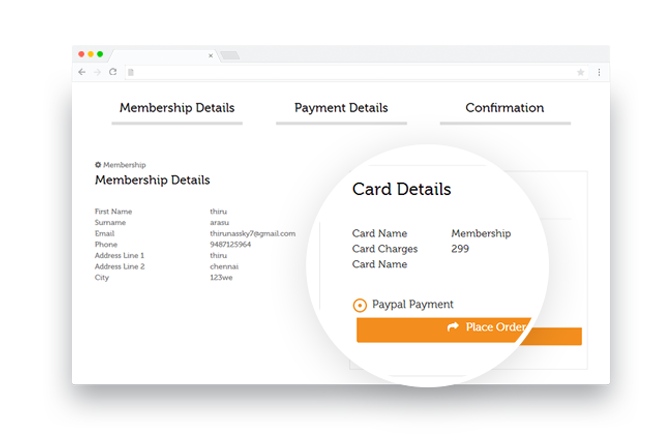 Webnexs Wclub lets you to switch between your 3 Membership Card and give ability to view information like Name, Card Type, Card No, Order Value, Payment With (payment gateway name), Expiry Date, Order Detail and Delete the Order. 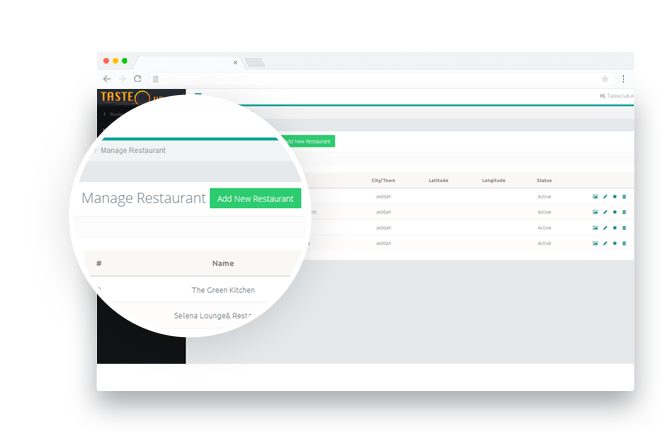 Add Restaurant or hotel owners/Managers to manage their submission and change their Descriptions of Restaurants. 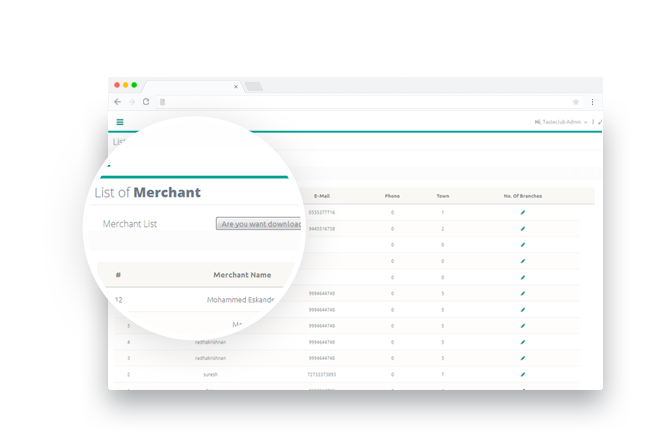 Adding Merchant User can be done manually after merchant fills up “Add new merchant Form” provided by your website. 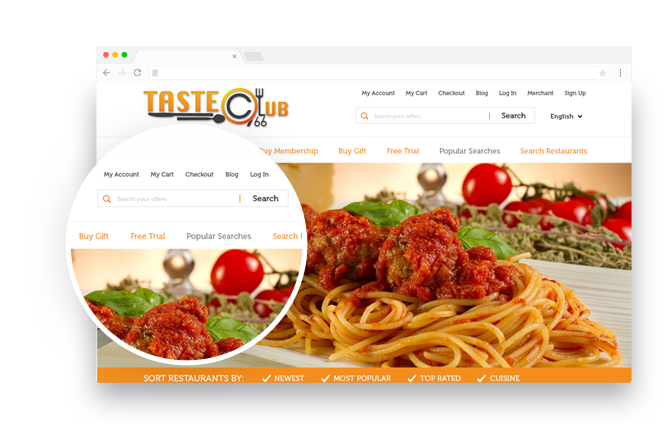 Add Unlimited Hotels and Restaurants to your Club Website. Set Key features by giving Key Feature Name and Key Feature Description. 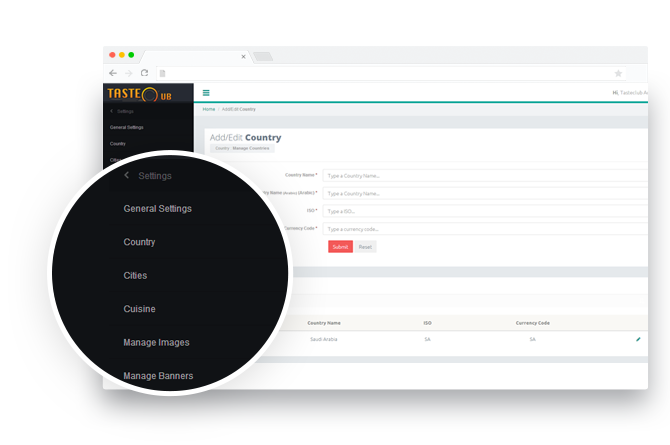 Easily modify or delete your Restaurants and Hotels with your Admin Panel. Webnexs Wclub allows you to manage your user who has subscribers for your Email Newsletter. List of Subscriptions displays subscribers Name, Their opt-in Email IDs and Status that displays whether the user is active. Webnexs Wclub Content Management system allows you to manage your static pages of Webnexs Wclub website. 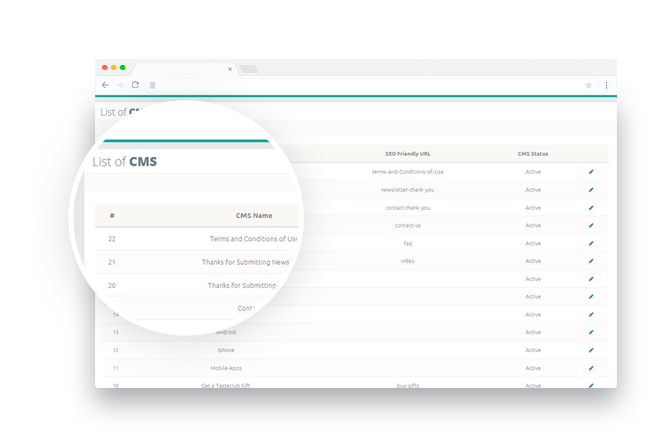 CMS Management allows you to create pages with Name, SEO Friendly URL of that CMS page, Page Title, SEO Keyword, SEO Description, CMS Long Description and Status of that CMS page. Wclub allows you to create edit and manage Email Templates of your club Website. 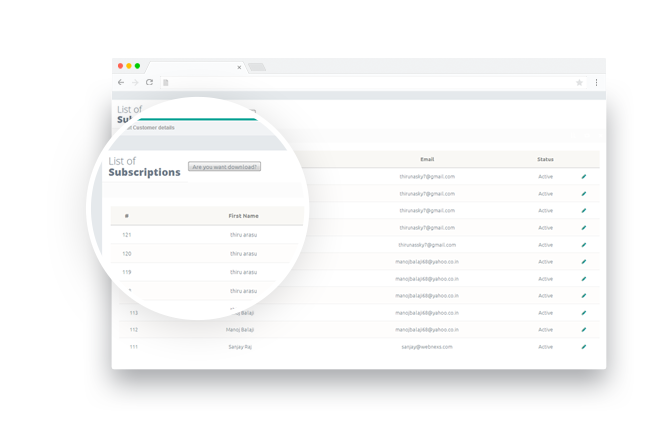 Either create hand coded Emails with Inbuilt HTML Editor or add source code of 100+ pre-designed WTemplates which are ready to deploy to your subscribed. Make your club website more Search engine friendly by changing Pages URLs. Webnexs Wcomm Manage URLs ability to modify URLs with information like Page Name, Friendly url and declare its status of URL. Manage your Static block on Club website like homepage content and footer content. 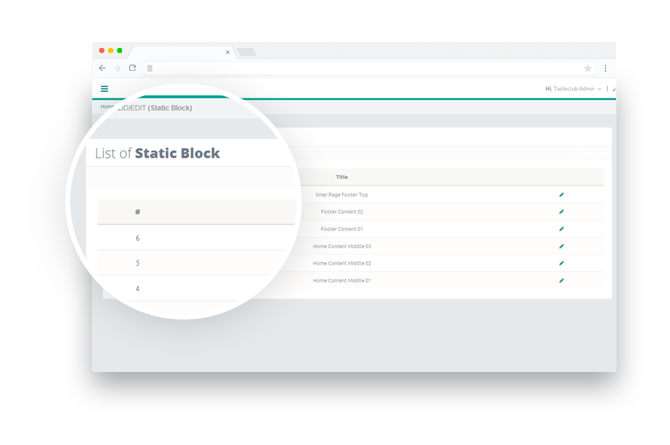 Webnexs Wclub allows you to create, modify and delete unlimited static blocks to the wclub website. 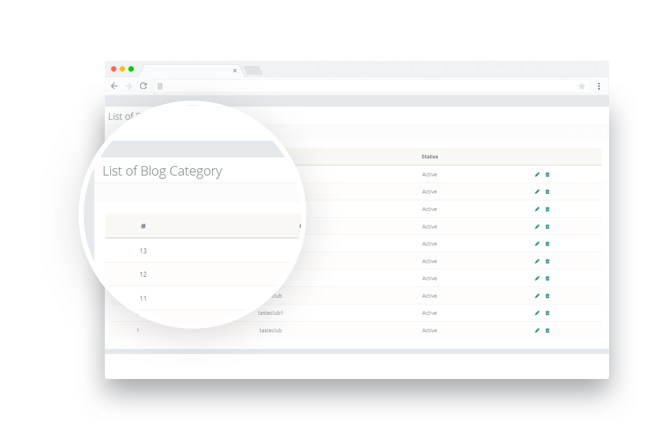 Manage your Blogs Category and Blog Post easily within your Club Website admin Panel. Webnexs Wcomm allows to create, modify and Delete unlimited blog posts and blog categories. How long will I get support after purchasing? We offer 90days of complimentary support along with your purchase. You can extend the support buy paying some extra amount to continue the service. Does the script in any other languages? By default, the script comes with English. However, still we include all other languages as a single language pack, which makes the translation process simple. Do you offer unlimited license? Of course, we do provide unlimited for you restaurant reservation script. Can I get a customized restaurant reservation script? Obviously! We offer custom development for you. If you really in a need to customize the product from us, we will offer amazing customizing service for you according to your requirements. Yes. We offer both phone as well as ticket based system support. Is the updates are free? Of course yes. We offer free updates for all our scripts. Is there any option to change the Logo, Website Name, Email Id, etc? Yes you are capable of changing your Logo, Website Name, Email id, About us, Terms & Condition and many more. And all these can be done via admin. What are the Hosting Server Requirements? 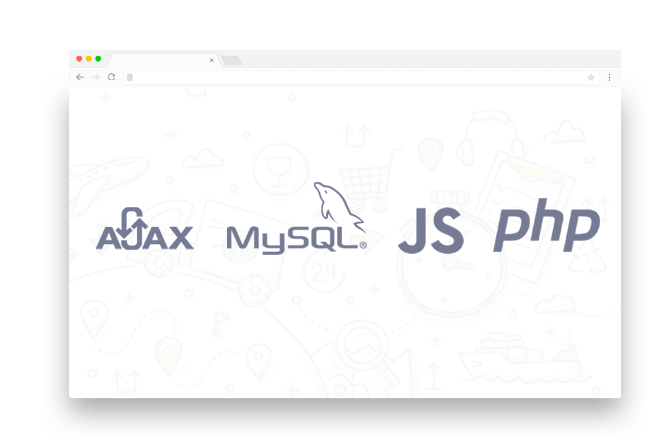 PHP version 5.6 language support. Server preferably should have cpanel. You will be provided working script as shown in our live demo. Once if I make the purchase, how long can I use it? All the scripts come with lifetime license. You can use it forever. Add upto 3 different type of membership cards with different price and features. Let your customer have choice of choosing membership based on their needs. 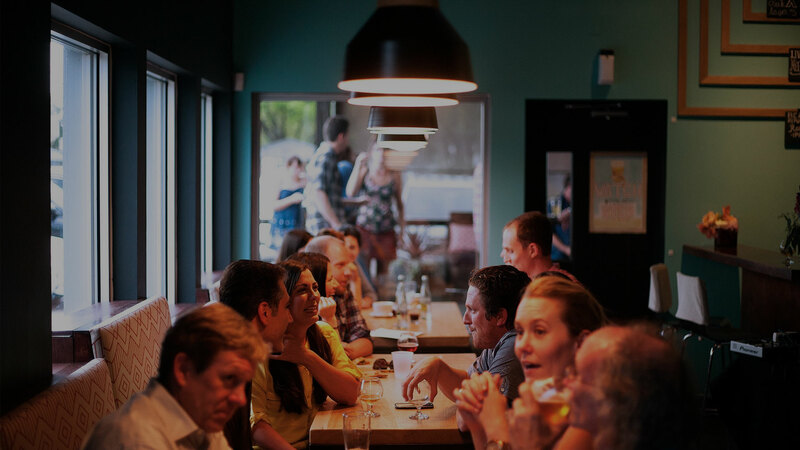 Let your customer discover their beloved restaurants on the town. 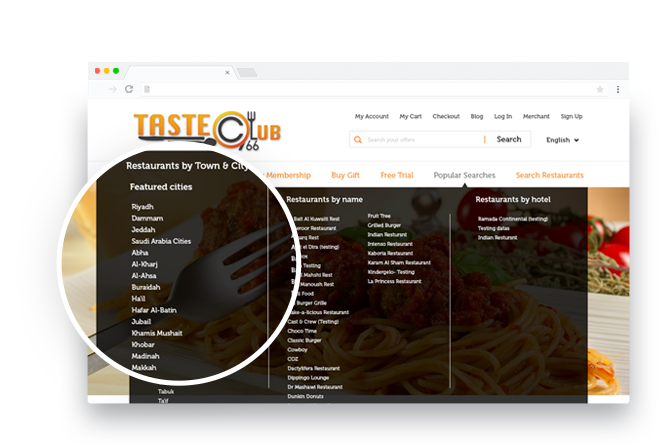 List unlimited number of restaurant on your Webnexs Wclub website. Reduce your customer’s time of searching their restaurant with Wclub Search feature. Wclub search function can be flexibly Extended without any limit. 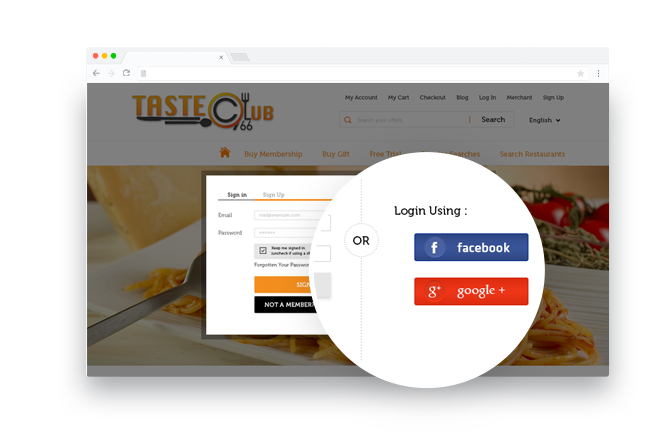 Make registration and login process simpler in wclub websites by allowing customer to login with their social media accounts. Webnexs Wclub supports upto 15+ payment gateways worldwide. Wclub Supports Paypal Payment Gateway by default. let customers choose payment gateways based on their region. Wclub reservation script built with bunch of SEO functions providing ways to save 1000s of dollars on Digital marketing. I love how its like DIY Digital marketing for a reservation script. I was very much impressed with this platform. Webnexs team was fully supportive for my entire course of development. They treat their client with respect and tries to provide possible solution for your queries. Its been few month I have been working with this script and I have to admit that wclub reservation is simply superb. I had many custom request over my bussien website and in my surprise everything is simply possible with wclub reservation script. Earlier me and my team had a poorly developed reservation script which had large number of unsolvable bug. When we started to search for alternative, wclub gave us a promising feel that it would be able to handle my business without any problem.